It looks that some busy times are ahead at Image Space Incorporated. Short after releasing the Stock Car development news, already the developer has something new to share with all of us. 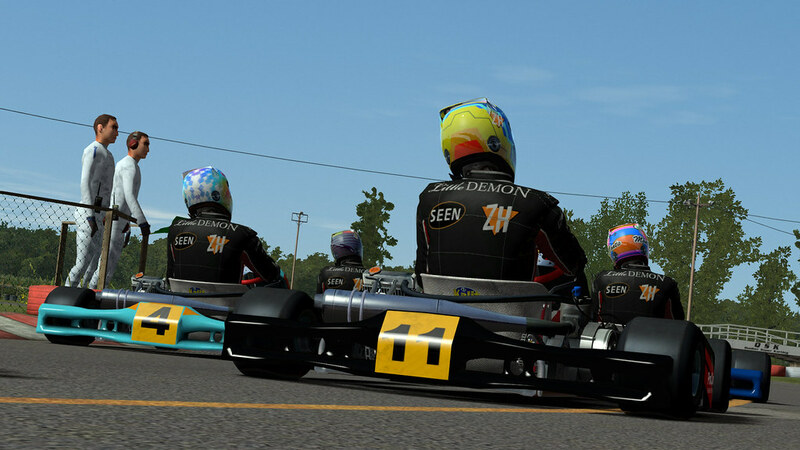 ISI is showing us the first previews of the Karts that will become part of rFactor 2. 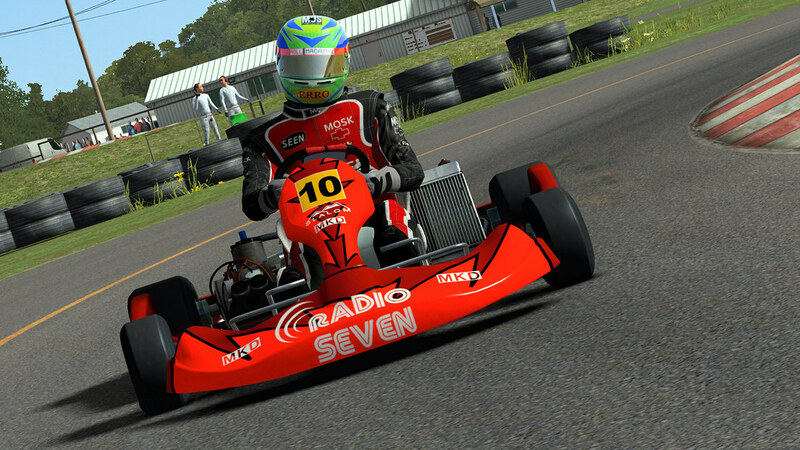 Ever since the announcement of rFactor 2, ISI have stated that Karting would become a part of the simulation. Only today they revealed the first in-game screenshots and provided a video for us to enjoy. 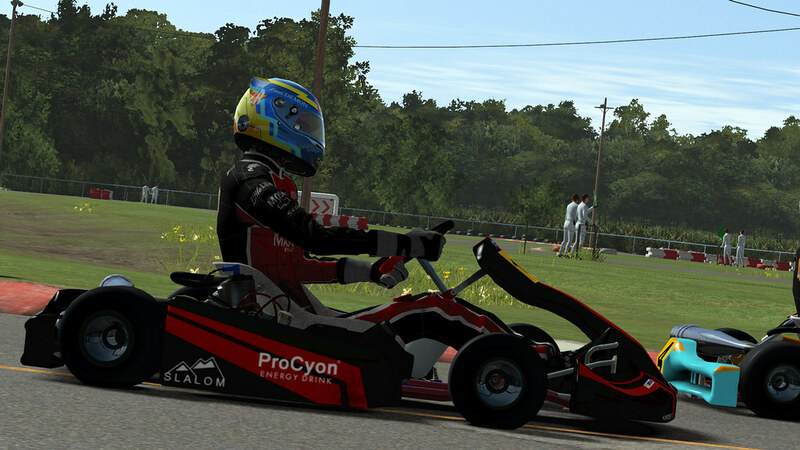 There will be 2 models of karts in rFactor 2 . The 125cc Junior and Kart F1. The entrée level Kart is producing 20hp while its weight is only 150kg with the driver included. That is an impressive power to weight ratio, and will keep you busy in a competitive race. The Kart F1 is the faster of the two, producing 40hp while only weighting slightly more than the junior Kart. Knowing that while cornering Karts do provide huge amounts of grip, we guess practise will be needed to keep this little racing monster in the front of the grid. In the supplied video’s we can watch a 10 lap race at the Quebec Long layout with the AI aggression set to 50%. The second video is footage of a race on the short layout of the Quebec circuit. Keep in mind that the Karts are still a work in progress. All in all, this will be a great add-on for rFactor 2. Karting is an important aspect of Motorsports . Most of us will probably have experienced the thrill and excitement of racing an indoor kart. Wether they come with electric or combustion engines, they can still be regarded as the little man’s Formula One. That said, there is of course a world out there that takes Karting somewhat more serious. Many established racing drivers have used Kart Racing as the stepping stone to the higher and more expensive ranks of motor sports. Karts are the ideal way to get introduced to racing on a very young age, and maybe more important, in an affordable way. Kart racing is generally accepted as the most economic form of Motorsports available on four wheels.